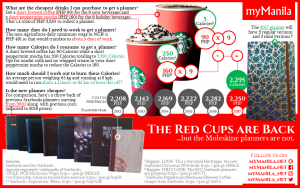 We're a little late with this year's Starbucks Planners infographic but it has been a tradition for us to post this guide on how to collect the Starbucks Planner since 2011 and we're continuing that tradition this year. 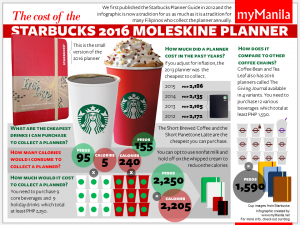 Same as last year, there are 4 planners to collect: 2 big ones and 2 small ones. 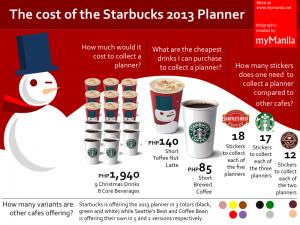 As of writing, it would cost at least PHP 2,295 per planner if you purchase 9 short holiday drinks at PHP 160 each and 9 short brewed coffees at PHP 90 each. 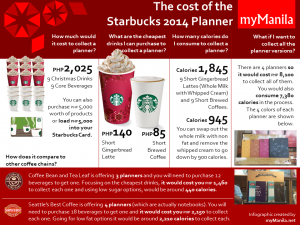 That would also mean you consume at least 2,250 Calories to collect each planner since a short toffee nut is around 160 Calories and a short brewed coffee is 90 Calories. 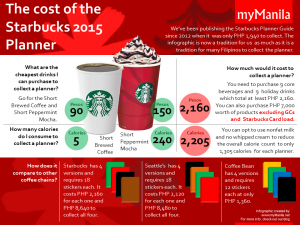 You can check out the Calories for various Starbucks beverages here. 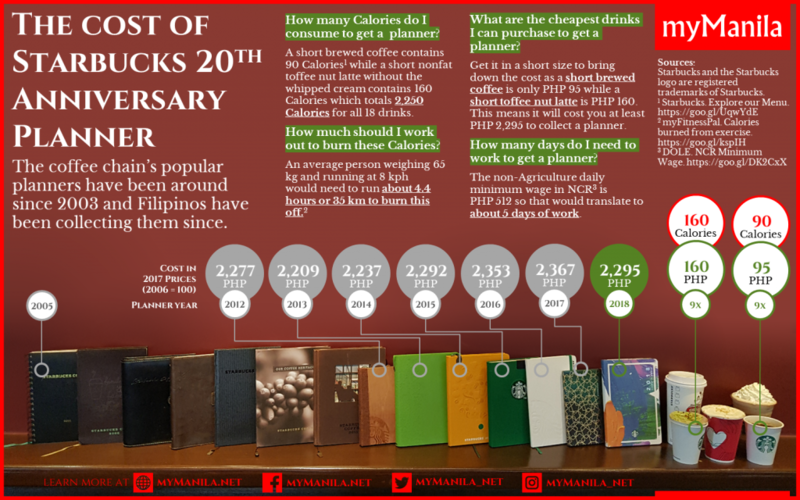 If you're a minimum wage earner in Metro Manila earning PHP 491, that means you would need to work at least 5 days to earn PHP 2,295. 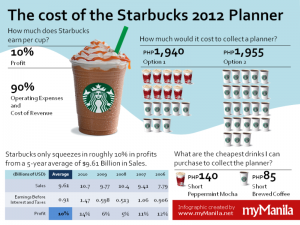 Note: Starbucks and the Starbucks logo are registered trademarks of Starbucks.